I personally recommend the Wacom Bamboo for any learning animator. I spent over three years animating on one of these. It's Cheap, portable and reliable. If you're unsure for what to get for your first tablet, the Bamboo is your safest bet! This is my recommended model for more serious spenders. 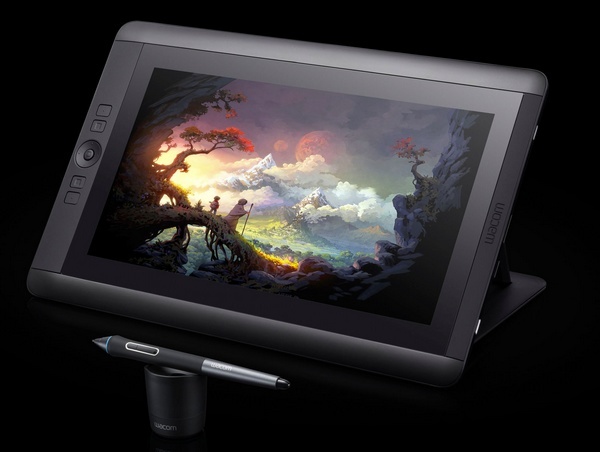 The Cintiq 13HD is a worthwhile investment for anyone with the ambition of becoming a professional earning artist/ animator. My animating experience has improved drastically from using this. The mobility of the Ergotron allows you to perfectly position your tablet or monitor screen. No more hunching over the desk! It also means that your tablet can act as a second monitor when you are not animating.